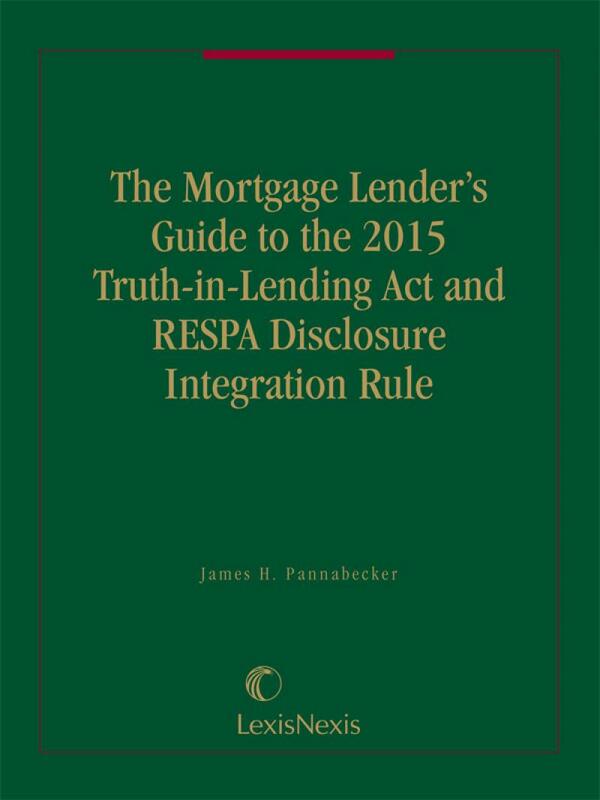 The new Mortgage Lender's Guide provides all the information you need for implementing TILA-RESPA disclosure integration in one place, including: slide-ready summaries for presentations, which will help you train and explain the new Rule to your lending teams; short examples that illustrate aspects of the TILA-RESPA Disclosure Integration Rule, which will ensure you have a good understanding of how to comply with the new requirements; charts covering the loans to which the new Rule applies; new rounding rules; and the disclosures that were required before and after the new Rule. These charts will ensure your timely and accurate compliance with the new Rule; Explanations of the new Loan Estimate and Closing Disclosure forms, page-by-page, table-by-table, and item-by-item, which will save valuable drafting time; Details of how the new Rule affects application processing, e.g., pre-loan estimates, preapprovals, fee collection, verification of information, timing of Loan Estimate (and "business day" rules), and listing of settlement service providers, which will ensure you develop and maintain effective business operations. 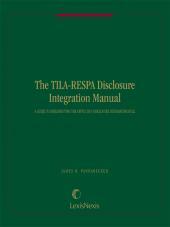 On November 20, 2013, the Consumer Financial Protection Bureau approved the TILA-RESPA Disclosure Integration Rule (DI Rule). The DI Rule combines and integrates the disclosure forms that consumers receive when they apply for closed loan mortgages (mortgages that don't allow prepayment). The new DI Rule amends Regulations X, the Real Estate Settlement Procedure Act and Regulation Z, the Truth-in-Lending Act. Who Needs Information About the New DI Rule? Lenders and mortgage brokers of closed end mortgages will need to shift all of their consumer residential mortgage loan applications to the requirements of the DI Rule on October 3, 2015. This is a critical and mandatory deadline. Until October 3, 2015 lenders must continue providing the current forms (e.g., Good Faith Estimates and Truth-in-Lending Disclosures). For loan applications received on or after October 3, 2015, however, lenders must provide Loan Estimates and Closing Disclosures. 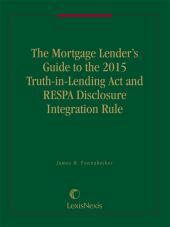 Lenders must have their new forms and procedures ready to go on October 3, 2015. Is the New DI Rule Just About Some New Forms? 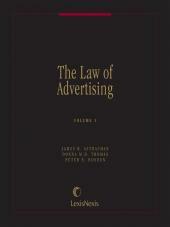 James H. Pannabecker writes from Natural Bridge Station, Virginia and focuses on banking law and regulatory compliance. Mr. Pannabecker formerly was a senior vice president and general counsel of Citicorp Mortgage, Inc., where he managed the provision of legal services for the nationwide origination of mortgage loans through Citicorp's affiliated first mortgage lenders. Before joining Citicorp, Mr. Pannabecker served as in-house counsel to Maryland National Bank; First Virginia Banks, Inc.; and First American Mortgage Group. 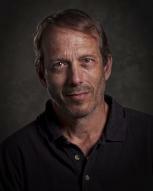 He also is a former Professor of Practice at the Washington & Lee University School of Law. Mr. Pannabecker is the author or coauthor of numerous publications in the areas of truth in lending, real estate settlement procedures, equal credit opportunity, community reinvestment, home mortgage disclosure, and banking law. 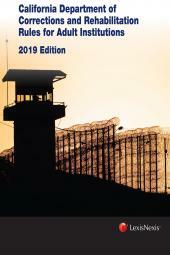 His most recent book, 2018 Home Mortgage Disclosure Act Manual, is now available from LexisNexis. Other publications include Truth-in-Lending Manual: Text and Forms; Practical Guide to the Wall Street Reform and Consumer Protection Act: Understanding and Implementing Changes Under the Dodd-Frank Act; The RESPA Manual: A Complete Guide to the Real Estate Settlement Procedures Act; Mortgage Lending Compliance with Federal and State Guidance; Mortgage Lenders Model Compliance Manual: Policies, Forms, and Checklists; Banking Law Digest; The Law of Electronic Fund Transfer Systems; and The TILA-RESPA Disclosure Integration Manual: A Guide to Implementing the CFPB's 2015 Disclosure Integration Rule. He also writes two monthly newsletters, The Banker's Letter of the Law and Compliance Examinations Update for Financial Institutions. § 3.01 When Do We Have An Application?